I got a nice little surprise in the post today. 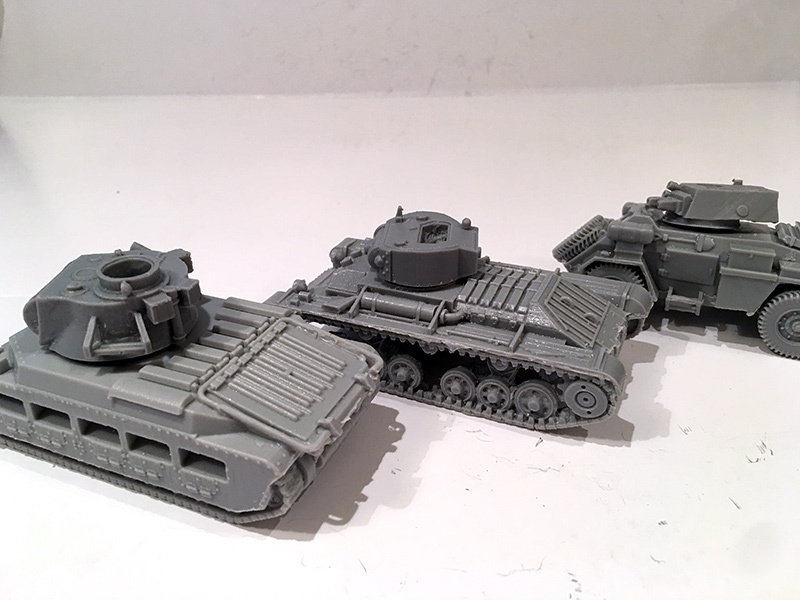 A few weeks ago Blitzkrieg Miniatures had a 50% off everything sale so I ordered some reinforcements for my British Army. Blitzkrieg’s deals usually mean you have to wait a few weeks but that’s not a problem if you realise this when you order. They put out a message shortly after the sale closed to say that due to the amount of orders it was very unlikely they would be able to fulfill the special offer deal before Christmas. The tans were delivered today, 22nd December, so hats off the Blitzkrieg. 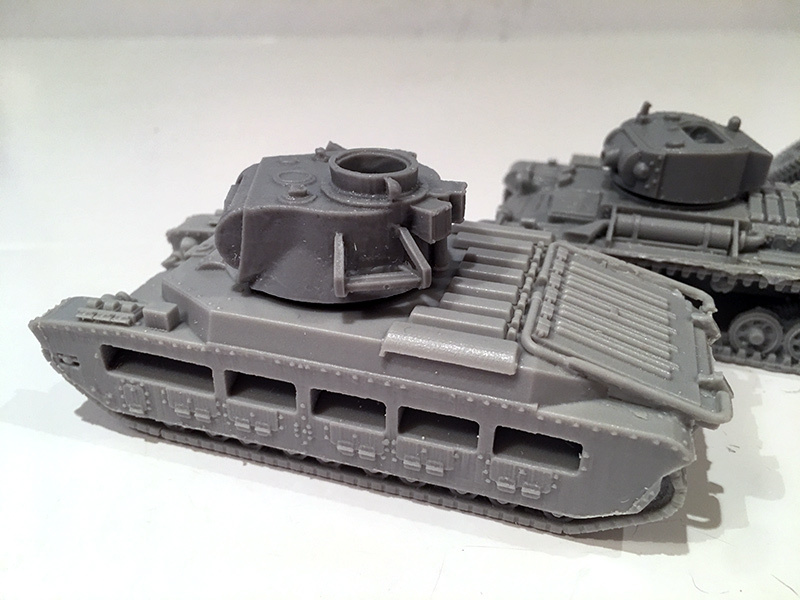 I ordered a Valentine MkII, a Matilda II and a Humber Armoured Car MkII. 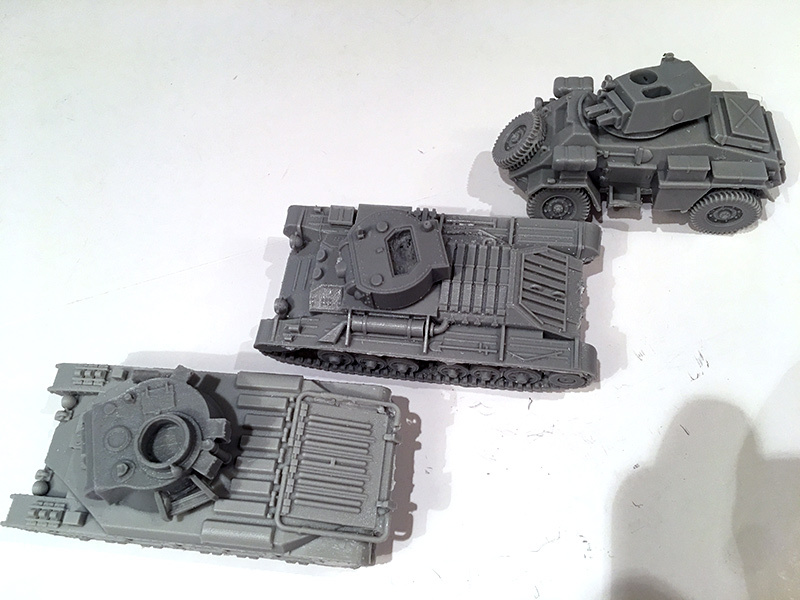 These are resin models and as I have been pleased with previous orders, I was happy to place another. They represent excellent value during their special sales. I’m not sure when I’ll get to paint these as things are starting to build up. Hopefully I will have more free modelling time after Christmas as the cyclocross season ends and I won’t be out every weekend photographing it and then spending the rest of the week processing thousands of shots every week. 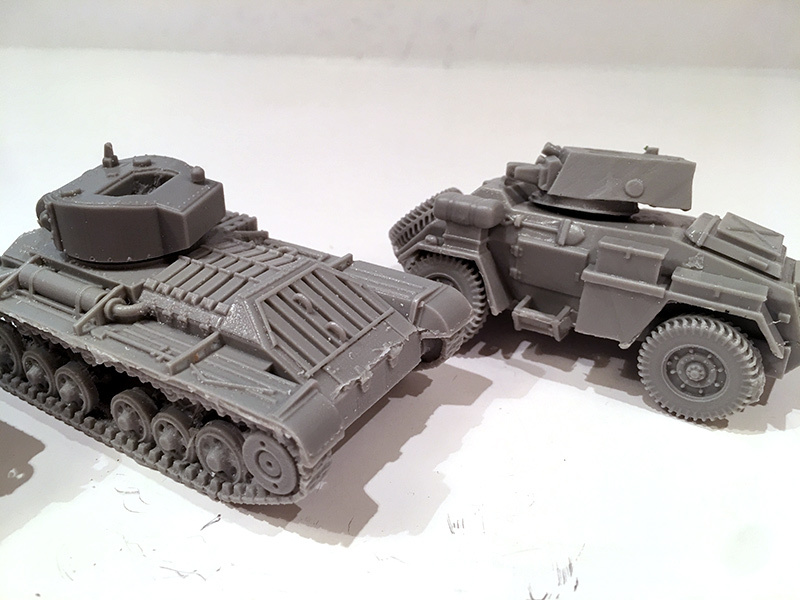 You can check out Blitzkrieg’s vehicles at www.blitzkriegminiatures.com.